The Wandering Fork: New Happy Hour @ The Armory! New Happy Hour @ The Armory! 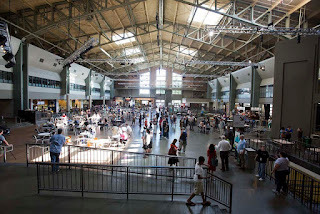 A friend passed on this link to me about a new happy hour going on every 3rd Thursday at The Armory in Seattle Center! Looks like a stellar deal, and you get so many choices! 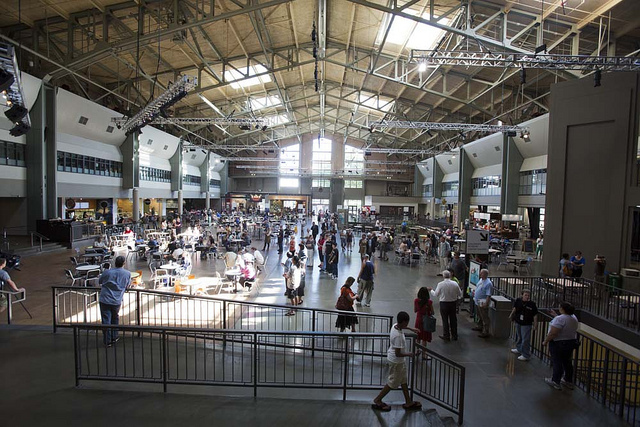 In case you haven't been to what was Seattle Center's food court, and is now the revamped Armory, you should check it out. Come with me as I travel around Seattle and areas beyond, tasting and reviewing the places I eat, as well as sharing recipes with you! Ezell's Famous Chicken joins food truck flock! Lara's Vegan Carrot Ginger Soup! Copyright © Lara Schneider, The Wandering Fork, 2012. Powered by Blogger.